It seems like whenever the seasons begin to change, it’s time to organize another part of the house. After all, as the seasons change, so do your activities and the items that you regularly use. With school starting up, your life is about to get even more hectic, so organizing is important. 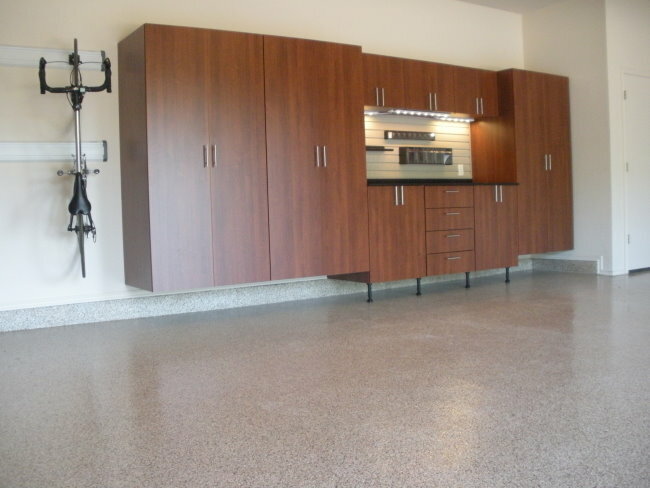 One of the areas of the house that most homeowners cringe at having to organize is the garage. It can be a large task for anyone to undergo. However, it is important to keep up with this space. Fall garage cleaning may not be something that you look forward to. However, it doesn’t have to be that difficult. If you’re feeling overwhelmed by the task, here are some tips that might help you through it. When it comes to the garage, there’s nothing quite as sad as realizing that you no longer have room for your car. 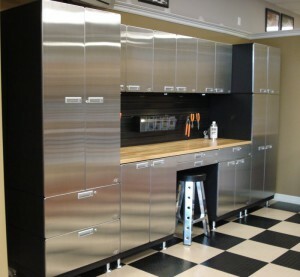 If this is something that you’ve run into, it might be time to think about shelving options for your garage. After all, there are many unique and useful ways to utilize storage. Here are a few popular shelving options and ways to make sure that they can be used. 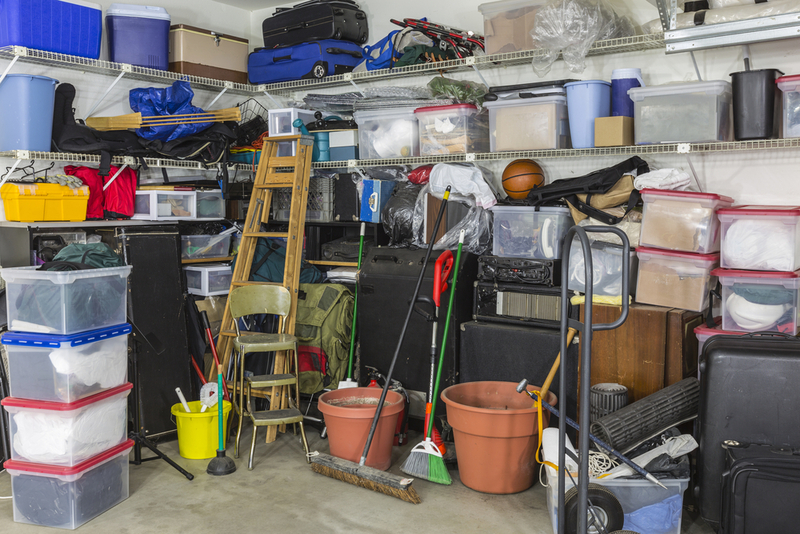 There are two types of people in this world: the kind that keeps their garage pristinely neat and organized, and the second that turned their garage into an unusable space because it’s filled to the brim with miscellaneous items. If you’re a part of the latter group, you’ll be pleased to know that there are ways to organize your garage and keep it that way. Your home may be immaculate and well-organized, but if you’re like many people, you might feel that keeping everything in place in our garage is a challenge. Don’t neglect the space in your garage, because it can be an efficient storage and workplace. In addition, garages often contain potentially hazardous materials and dangerous tools that need to be put away properly for optimum safety. 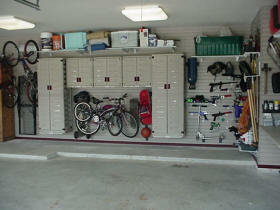 A disorderly garage is not just unpleasant, but can prevent efficient usage of space and compromise safety. When it comes to your garage, it’s not likely you jump at the change to clean and organize the space. 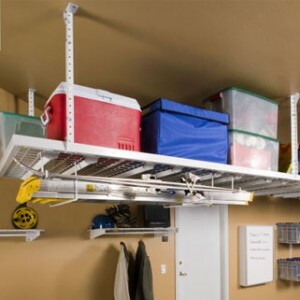 Instead, garage organization is probably at the bottom on your to-do list. However, spending a weekend cleaning, organizing and redesigning the space may be all you need to set yourself up for years of productive use. Not sure where to begin? 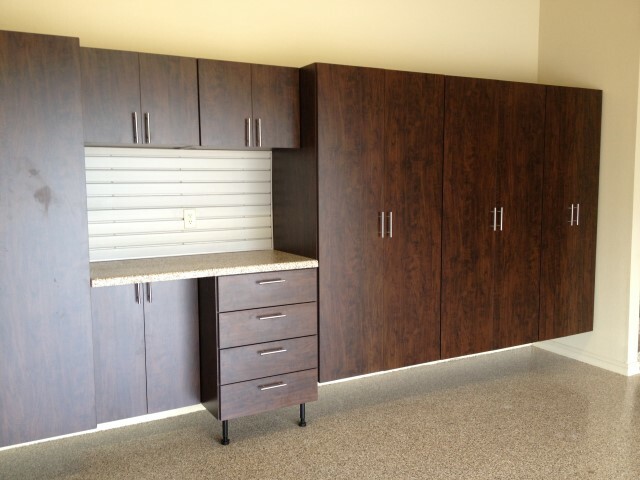 After purging excess items, look to your walls to provide the storage space needed to increase your floor space. 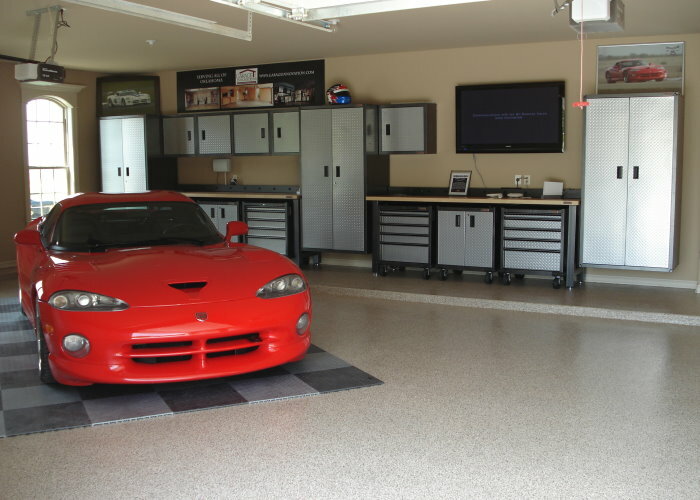 As any homeowner knows, a garage can become crowded quite quickly. It’s often used to house a wide range of equipment, including your car, your tools, any projects in process and anything you’d like to store for later. 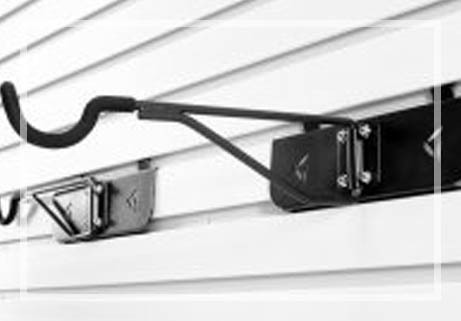 Even large garages can fill up quickly, with everything they’re supposed to hold. Luckily there’s a way to utilize garage storage that still leaves room for other things. Why settle for a plain concrete garage floor when you can reap the benefits of terra chip coating in one of the highest traffic areas of your home? 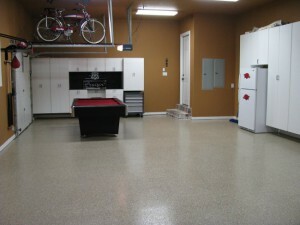 An epoxy garage floor is a great alternative that can be both beautiful and functional. At Garage Innovations, we’re in the business of helping homeowners reclaim their garage. Time and time again we encounter garages that are packed to the gills with odds and ends that have compiled over the years. We know that for many homeowners garage organization is on their to-do list, but actually making that happen can be quite the hurdle. Our team of professional organizers at Garage Innovations will not only provide support during a garage purge, but our team of designers and installers will help you reclaim your space with tools and gadgets that will help keep the clutter at bay. Living in a home filled with “stuff” everywhere can be frustrating and stressful. In fact, a cluttered home and garage can significantly impact your health. You might feel guilty for not taking the time to clean, but also feel bad about throwing out gifts or family mementos. 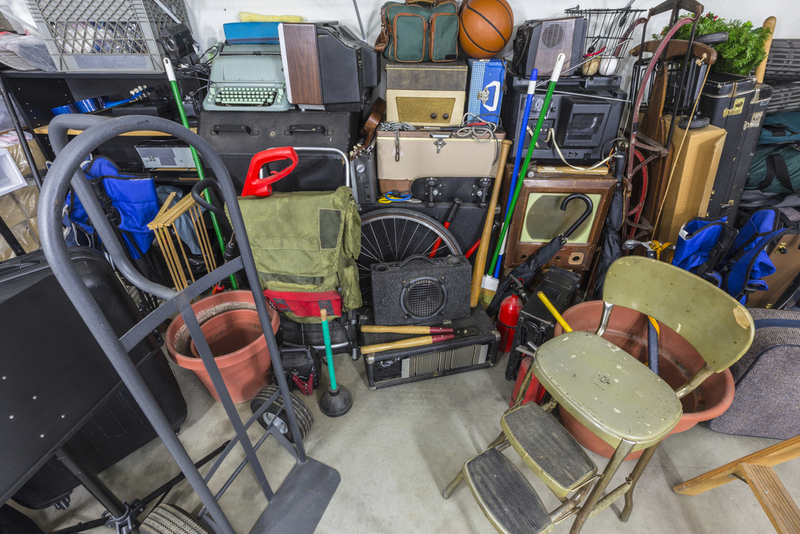 Whether storage space is the problem or you’re an impulse shopper, it’s important to address the source of your garage clutter.